For some years, the FATF has published various lists of countries with “strategic AML/CFT deficiencies”. These have become known in the trade as the ‘black’ list (jurisdictions subject to a call for counter-measures – Iran and North Korea feature on this list), the ‘dark grey’ list (jurisdictions that have not made sufficient progress or not committed to an action plan) and the ‘light grey’ list (those who have developed an action plan). The lists are drawn up by the FATF’s International Cooperation Review Group (ICRG) and approved by the FATF plenary meetings. The content of the lists are often used as part of country-risk assessments, although the correlation between a weak AML/CFT regime, in FATF terms, and actual ML/TF risk is a topic for another day. The AML/CFT authorities in other jurisdictions often re-publish these FATF announcements, and in some cases they are specifically mentioned in laws or regulations. The Caribbean FATF (CFATF), the FATF-style regional body (FSRB), has been meeting in plenary session in Nicaragua this week. Yesterday (30 May 2013), they published their own lists, which use very similar language to the FATF public statements. Belize and Guyana appear on the ‘dark grey’ equivalent and Dominica on the ‘light grey’ version. There are key differences, though – the CFATF public statement suggests that if further progress is not made, the next step will be to refer countries on the ‘dark grey’ list to the FATF ICRG, for consideration of listing by the FATF. Do we need any more lists? On the one hand, it is perhaps a useful thing for the FSRBs to use their greater knowledge and understanding of the situation in their region to identify those countries that are not making sufficient progress. On the other hand, the CFATF statement (which was immediately re-published without further comment by the FATF) appears to establish a hierarchy of such lists, which goes against the ethos that the FATF Standards should be applied equally across all jurisdictions. There are CFATF countries already on the FATF lists that are not included in the CFATF statement – are the strategic deficiencies in those countries to be taken to be more serious than those listed only by the CFATF? Should only countries and institutions in the CFATF region be expected to take account of the CFATF lists, or should they be taken acocunt of globally, but allocated a lower risk rating than those listed by the FATF? That would seem a high risk strategy for institutions to take, but we shall watch with interest to see what regulators make of this new listing. The Financial Action Task Force (FATF) plenary, which concluded on Friday last week, produced several interesting outcomes – updates on jurisdictions which allegedly pose a risk to the international financial system, revised guidance on financial inclusion, guidance on a national risk assessment (which has not yet been published) and establishing a process for a possible further expansion of the FATF membership. But by far the most interesting outcome was the adoption of the new Methodology for Assessing Technical Compliance with the FATF Recommendations and the Effectiveness of AML/CFT Systems. The significance of this document should not be underestimated. Previous Methodologies have been very much for those involved in the process or FATF geeks like us here at FATF Watch. For those jurisdictions wishing to ‘game’ the system, they have provided clues as to how the FATF would like to see its Recommendations implemented , but the useful detail of the various criteria tended to be lost in very dense Mutual Evaluation Reports (MERs). The FATF has then identified three Intermediate Outcomes (major thematic goals; broadly policy, preventative and investigative) and 11 Immediate Outcomes, which feed the Intermediate Outcomes and are the key goals against which effectiveness will be measured. 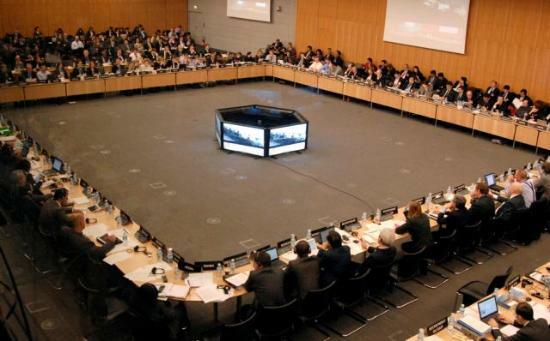 For each of the Immediate Outcomes, the FATF has published Characteristics of an Effective System, Core Issues to be considered and Examples of Information and Specific Factors that could support the conclusions the assessors will reach. There are four possible ratings for each Immediate Outcome: High level of effectiveness; Substantial level of effectiveness; Moderate level of effectiveness; and Low level of effectiveness. Got that? The obvious issue is how these ratings will be measured. The Methodology is very clear that the various characteristics, examples of information and specific factors are NOT a check list, just guidance for the assessors. Clearly there is going to be a great deal of training required for the assessors, who generally do a very small number of evaluations (they all have other jobs, tending to be public sector officials from other jurisdictions) and the small FATF/FSRB Secretariats will have a key role in ensuring consistency across evaluations – we wonder if the staff of the IMF/World Bank may have a greater role to play. No doubt there will be a handbook to help assessors – according to the Methodology they have to answer very subjective questions, such as “How useful…”, “How well…” Evaluations under this new Methodology are due to start this year – time is very short to train the assessors. Another key issue will be reporting. The results of effectiveness evaluations should be very useful for those managing country risk, but there is a great deal of detail in the Methodology, which could result in even longer and denser MERs (see this previous post for some of our thoughts on that issue). Annex II of the Methodology is supposed to be an MER template, but is blank and “to be finalised” in the published version. Of course, this new focus by the FATF on effectiveness is welcome and probably overdue. We know that it is the result of a huge amount of work by both a Working Group and the FATF Secretariat, who should be commended for getting this far. However, the new Methodology should not just be seen as a manual for assessors – it is, de facto, the technical guide to effective implementation of a national AML/CFT system, and perhaps it would have been better to position it as such, with a separate guide for evaluation (including a toolkit for answering the difficult questions the Methodology poses). At the very least, it seems a little strange that the objective and outcomes of an AML/CFT system should be buried in an evaluation methodology – they are fundamental to identifying risks and also to understanding how effective the FATF Recommendation themselves are in achieving those goals. We will post further thoughts in the days ahead – the treatment of risk is particularly interesting and important. Watch this space!